Aubusson introduced Histoire D'Amour in 1984. This fine fragrance contains lemon, bergamot, neroli and is accented with lily of the valley, vetiver and sandalwood. 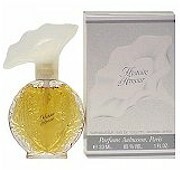 Histoire D'Amour is recommended for evening use.